The Christian Church also influenced the growth of the new feudal relations a great deal. The conversion of the Anglo-Saxons to Christianity began at the end of the 6th century (597) and was completed, in the main, in the second half of the 7th century. Before this the Angles, Saxons and Jutes had been pagans, that is. they believed in many gods. They worshipped the sun and the moon, the sea, springs and trees, and other pagan gods. One of their gods was Tu, or Tuesco—the god of Darkness. Another was Woden—the great god of War. The red-bearded Thor was the god of Thunder. The Anglo-Saxons thought they heard his magic hammer in the thun­derclap. Freya was the goddess of Peace and Plenty. The Anglo-Saxons named the days of the week after their gods. Thus Sunday meant the Sun’s day, Monday—the Moon’s day, Tuesday—the day of the god Tuesco; Wednesday was Woden’s day, Thursday was Thor’s day and Friday—Freya’s day; Saturday was named after Saturn, a Roman God. Paganism had developed among the Anglo-Saxons when they lived under the primitive system and it reflected the life of the tribal society where all men were equal and where there was no oppression of man by man. Paganism did not teach obedience and when feudal relations began to develop among the Anglo-Saxons this religion was of no use to the kings and landlords. They needed a religion which would teach the peasants that this order of society in which the land and power belonged to the king and the lords and in which the peasants had to work for their masters, had been established by God. The religion that was to serve the interests of the rich Anglo-Saxons was Christianity. Christianity talked the poor people into being obedient, it taught them to be meek and patient and to obey their masters. In return for their patience and obedience Christianity promised them eternal happiness after death in “the next world”. In 597 the Roman Pope sent about forty monks to Britain to convert the Anglo-Saxons. The monks landed in. Kent and it became the first Anglo-Saxon kingdom to be converted. The first church was built in the town of Canter­bury, the capital of Kent, that is why the Archbishop of Canterbury is now Head of the Church of England. Then Christianity spread among the Anglo-Saxons of the other kingdoms. It was the Anglo-Saxon kings and nobles who accepted Christianity first. Then they began to convert the rank-and-file to the new faith. But they did not meet with great suc­cess. The people were attached to their old gods and after a short time they went back to their old religion. Moreover, the old religion meant freedom for the peasants, while the new one justified the power of the big landowners over them, that is why they resisted their conversion into Christianity stubbornly. It took about a century to compel all the Anglo-Saxons to accept the new faith. The spread of Christianity brought about important changes in the life of the Anglo-Saxons. Many new churches and monasteries were built all over the country. The kings and nobles granted much land to the bishops and monaster­ies, and that promoted the growth of the big landed estates. The kings also granted them the right to collect dues from the population and to administer justice on their estates. Thus alongside with the lay landlords the churchmen became great landowners too. Besides, the spread of Christianity was of great impor­tance for the growth of culture in Britain. The Roman monks who were converting the Anglo-Saxons to Christianity helped to spread Roman culture in the country again. The Roman monks brought many books to Britain. Most of them were religious books and they were all written in Latin and Greek. The church services were also conducted in Latin. The Latin language was again heard in Britain. Latin was of international importance at that time, as it was used by learned men in all countries. They wrote their books in Latin so that they could be understood by the learned men of other countries. The Anglo-Saxons spoke quite a different language of Germanic origin and did not understand Latin. The Anglo-Saxon nobles were ignorant, many of them were quite illiterate and could not even sign their own names. No one except the monks knew Latin and the monasteries became centres of knowledge and of learning in those early times. The first libraries and schools for the clergy wero set up in monasteries. 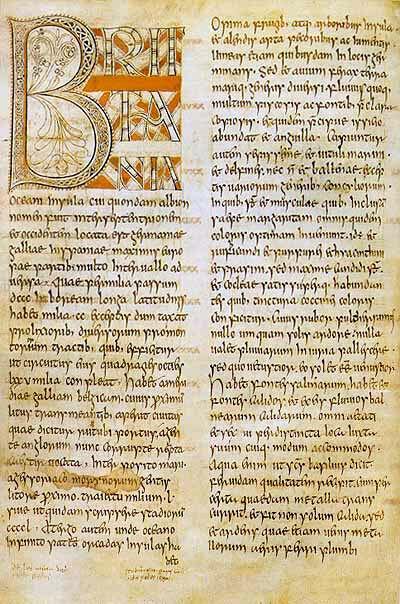 The monks copied out many hand­written books and even translated some books from Latin and Greek into Anglo-Saxon. Some monks were chroniclers—they kept a record of the important events of each year. Psalters, chronicles and other manuscripts writ­ten by the medieval monks are very important historical documents today. Monks often illuminated their manu­scripts with miniatures and drawings which are also of great interest for they portray many scenes of contemporary life. The learned men lived and wrote their books in monas­teries. They wrote in Latin and some of their books were well known in Europe. The most famous writer was the monk named Bede who lived from 673 to 735. The Venerable Bede, as he was known in Europe, was brought up and edu­cated in the monasteries of Northumbria where he lived all his life. He wrote Ecclesiastical History of the English People which was studied carefully by educated people in Europe as it was the only book on Anglo-Saxon history. From this book we learn much of what happened in Britain thirteen centuries ago. 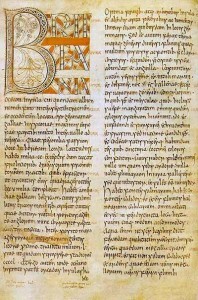 A copy of Bede’s book can be found at the British Museum in London. Another early-medieval scholar Alcuin, who lived from 735 to 804, was also an Anglo-Saxon monk from the kingdom of Northumbria. He got his education in the monastic school of York where later on he himself began to teach. As a teacher he became famous all over England. Many young monks would come to the school in York from far­away places to be taught by Alcuin. He was the author of the school text-books that were very popular in the 8th- 9th centuries not only in England but on the Continent too. For more than twenty years Alcuin lived on the Continent where he organized monastic schools and many pupils of his became well-known teachers. 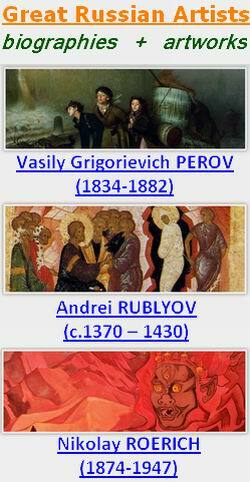 Thus the spread of Christianity promoted a revival of learning. Such English words of Greek origin as arithmetic, mathematics, theatre and geography, or words of Latin origin, such as school, paper and candle reflect the influ­ence of the Roman civilization, a new wave of which was brought about in the 7th century by Christianity. However the cultural influence of the Church effected only a small number of people and mainly the clergy. The rank-and-file Anglo-Saxons remained completely illiterate. The Christian religion had a tremendous influence over men’s minds and actions. It controlled the most important events of their life—baptism, marriage and burial. There was a church in every village and the villagers were com­pelled to attend the religious services held by the priests. The priests taught that it was the right of the nobles due to their position as landlords to keep order and justice on their estates. They made the villager believe that it was his duty to obey the landlords. They promised that he would be rewarded in the after-life for all his sufferings. And the villager believed that the clergymen had the power to reward him or to send him to eternal torment after his death. Thus the Church became a powerful instrument in the hands of the feudal lords. The churchmen who became rich land­lords themselves did their utmost to preach up the king, to justify the exploitation of the peasants and the power of the great landowners over them.